An alluring picture can be created using only 1 light. The Jar is half lit using 1 light located 90degrees towards the left. It creates a crude shadow highlighting only half of the Jar. This kind of light effect can be used to cover up the damaged part of a beautiful object. 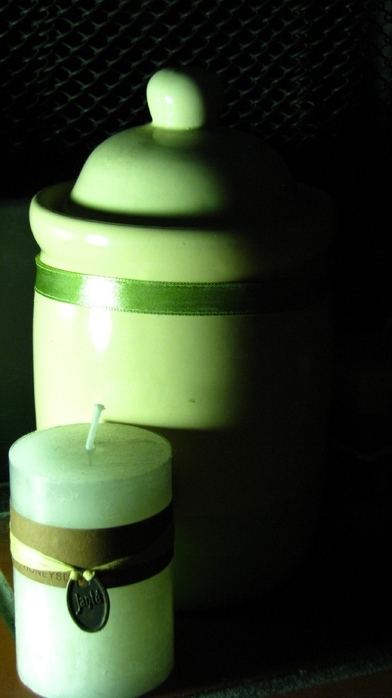 Full small candle appears in front due to light passing through the white color of the wax.